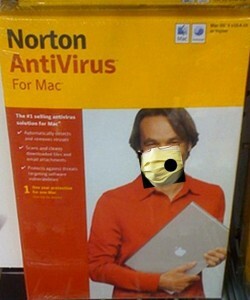 Norton Anti-Virus Sells "Definitions" - Protection Costs MoreEliminate The Muda! My answer to that question would be protection from known virus’. We have to be fair here. If there is a new virus released this morning it may not be realistic for any application to protect you. But what about a virus that has been around for several years? At the very least your updated software application should provide you with your money’s worth. Nearly a year and half ago we purchased and installed Norton 360. We assumed it was doing its job. All was well until this morning. My wife needed the PC and I wanted to get a little work done as well. I copied a file from our home PC onto a thumb drive so that I could finish a document for work on my company laptop. Within seconds of plugging the thumb drive into my laptop, and before copying the files, McAfee VirusScan detected a Generic!atr virus. A little internet searching taught me that this was a trojan file often named autorun.inf and may be used as a tool to download more sophisticated files that may collect usernames, passwords or other personal information. Going back to our PC I began by making sure Norton was updated and then ran the full scan. Nothing was detected. For what it was worth I grabbed a brand new thumb drive and plugged it into the laptop. It was blank. I plugged it into the PC and guess what showed up within about 30 seconds? Yep, the same two files were being downloaded from my PC onto every thumb drive that was inserted! It would appear my fundamental mistake was in the belief that the purchase of an anti-virus software would be for the purpose of actually protecting my system from a virus. However as it turns out, when you buy Norton you are only getting “definitions” not protection. So my first payment to this company bought me the “definitions”. Now I have to pay more for protection. Isn’t this how the mob use to work? What would you do at this point? Would you pay for the “premium service” or take your business elsewhere? Update: In the interest of giving credit where credit is due. My request for a refund was answsered in less that 24 hours. I am now expecting a credit from Norton.